In one of the latest Disney’s Pixar movie, Inside Out we see the working of the mind of an 11 year old girl which is ruled by five distinct emotions: joy, sadness, fear, anger and disgust. We also see a brief glimpse into the mind of her mother who has a different version of the same five emotions. But I couldn’t help notice the absence of an emotion that seems to dominate the minds and consequently the behaviors, of many working mothers: guilt. According to research, working moms experience the work-family conflict more than men. After quickly absorbing the excitement of being a mom and the affinity towards your career, the emotional toll of juggling a career and being a mother quickly weighs in. Despite the time management and sorting out your priorities, the guilt and stress they feel about the “mother you are not being” eats you away. The mommy guilt is a very real thing. No matter how much we pay for the daycare or nanny, the fear of an unwashed baby bottle, our children being scolded or worse hit by these care takers, being spoken in slang language etc. will never fade away. In order to address these fears and concerns of working parents, Sihah Waris recently introduced her startup called RiseMom. 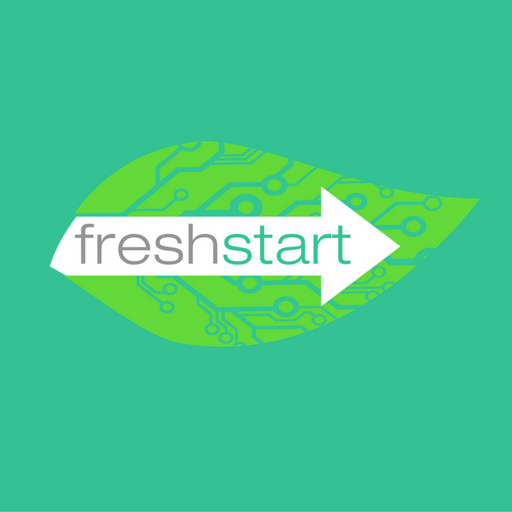 She introduces her startup and provides us with a few insights regarding her journey so far. Please tell us about your startup “rise Mom”. RiseMom is established to provide peace of mind to working mothers. 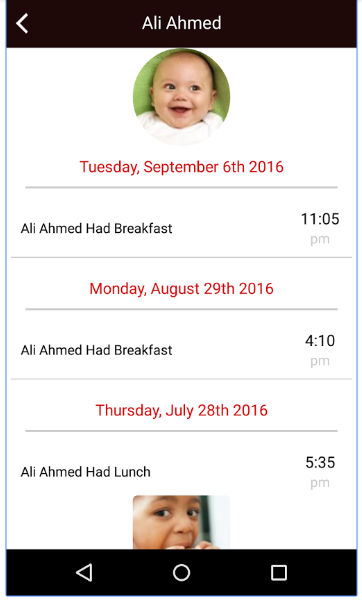 It’s a stress-free online daycare monitoring system. Our brand is focused towards empowering working mothers to rise professionally in their careers with the peace of mind that their child is in safe hands. It promotes a sense of security, transparency, unmatched love and care. What is the ideology behind this startup? What inspired you towards the making of Rise Mom? 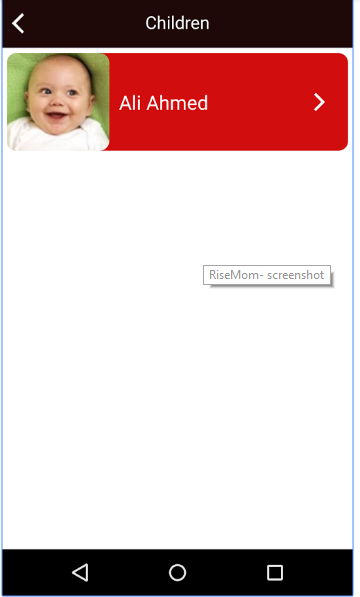 RiseMom is designed for young working mothers. These women have a dual responsibility of managing their career and of taking care of their young ones. Most of the time, mothers find it stressful to juggle both of these roles and hence end up quitting their jobs. We are losing our talented women due to this reason. 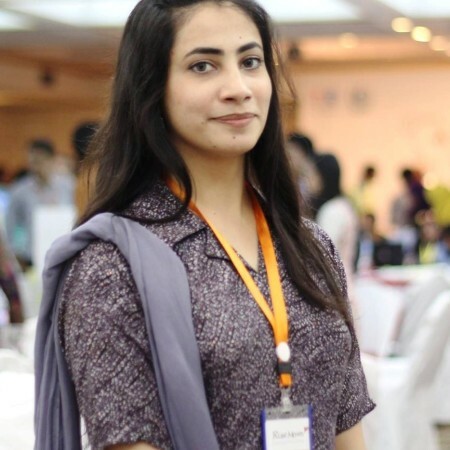 60% of the women, in Pakistan, leave jobs after becoming mothers because they are worried about their infants while the rest of the 40% who continue to work call every 2 hours at home or day care center to know how their child is doing. They are worried about their child’s well-being. I realized the weight of this situation when I saw my sister with her two years old. She used to drop him at our Uncle’s place and called after every hour, asking about her baby. Then there was a friend of mine, she went on a maternity leave and then after she had her child, she quit her job even though she was being offered an increment. And there are many other similar stories in our country. Startups are extremely risky from a business perspective, how well did you know what you were doing, your plans and commercial strategy at the beginning, do you think you have managed to achieve them all? Well Yes, startups are risky but that doesn’t mean you can’t take risks. I started my first company, Solugix Pvt Ltd in 2013. Rise Mom is my second startup. Till now, I think I have achieved certain goals but still it’s a long road, and I have a lot to achieve. Hard work will definitely pay off once I see Rise Mom at the place I dream it to be, Inshaa Allah. Your target audience are working parents especially mothers. In a country like Pakistan where working women mostly rely on close family members like parents or grandparents, do you think your startup will experience growth in such a framework? That is an excellent question! Yes, I strongly believe that it would. Pakistani working mothers usually ask their parents or grandmothers to look after their children when they are not around. And those mothers call them almost every hour just to remain updated about their child. However, life today is characterized by independent family systems, need for improved living standards, and quality education for children from an early age. The demand for daycare centers is on the rise, specifically by working mothers (doctors, business women, government servants, corporate employees, teachers, etc). 82% of teachers surveyed in the US agree that children who participate in early childhood education have a distinct advantage throughout their academic career. What is the procedure of using RiseMom? 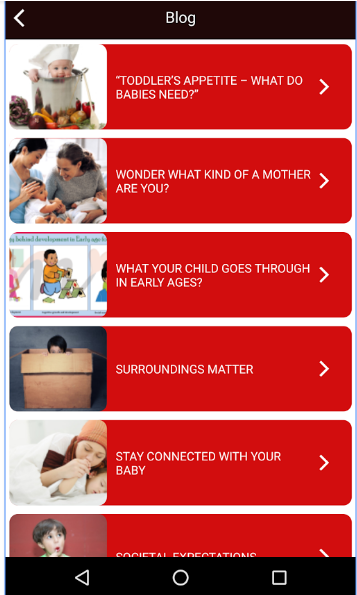 Mothers are encouraged to sign up for newsletter, read informative posts and ask questions. They can join our Facebook group (https://www.facebook.com/groups/433870960131827/) and ask questions in the group about their personal/professional lives, or about raising and training their children. 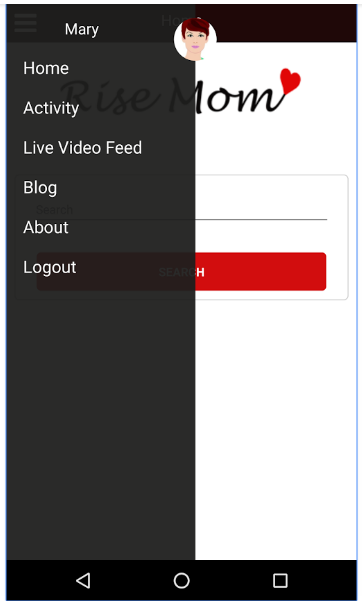 What features does your app offer? And why is it unique? How many users do you currently have? And what is their feed back? We are running a pilot project at Children’s House Pre-School, Daycare and Evening Kids Club (F-8/2). So far, feedback has been really constructive. We’ll soon share pictures and testimonials from the daycare and parents on our social media pages and website. Do you see any lacking in your startup? If yes, how do you intend to improve them? There is a rising demand for daycare centers yet it is not easy to find quality daycare centers or find daycare centers online. We are creating a database of daycare centers to fulfill this demand. We are working tirelessly to help working mothers and to raise early education and child care standards in Pakistan. We aim to provide nothing but complete transparency to working parents and peace of mind to working mothers out there. 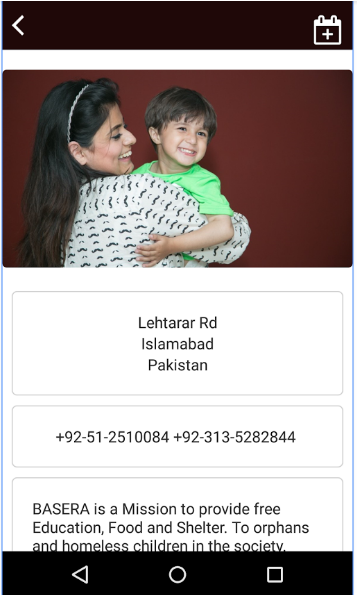 For the future, we aim to establish Rise Mom as Michelin for the daycare centers, and to provide best childcare and early education services all across Pakistan. Furthermore, we intend to provide services to new and expecting mothers and fitness programs for mothers. How do you plan to scale up your business? We are starting from Islamabad, and plan to extend our services in Lahore and Karachi next. Once we have strong presence in these cities, we will expand to other areas where there is need and high ratio of working women. We are established to provide comfort, ease and satisfaction to mothers. We are going to organize seminars and training workshops to help them strive in their professional and personal life. We’ll arrange quarterly event for mothers where they can connect with each other, find/share opportunities and help other women become successful. We are currently focusing in Pakistan. However, we do have interested customers in Malaysia, US, India and Italy. We intend to extend services globally after fulfilling the demand in Pakistan. Tell us a little about your blog, how does it benefits mothers and what subject matters do you focus on? Rise Mom provides interactive blogging among the mothers. Mothers can address their issues and talk to each other about their problems and can also share their experiences with us. On the other hand we upload our blog every week, taking in account the problems, latest research concerning sociological aspects of children and related issues. How do you collaborate with the day cares? How many day cares are already onboard with your venture? We find daycare centers online; we check feedback on their social media pages and approach them. In most of the cases, owner happens to be a mother who has personally experienced the distress Rise Mom is eager to solve. They understand how important it is for a mother to have peace of mind especially while at work. So far feedback from daycare centers is good, as mentioned earlier we are running first pilot. We’ve 3 daycare centers where we will start installation after pilot testing; there are 28 on our list, whom we will be approaching this month. We are approaching employers as well, as they are the ones who lose their talented resources and know importance of this product. Care takers at day care centers have always been a huge concern, most of them are illiterate and uncooperative. How do you address this matter? This is every mother’s biggest concern. In order to address this matter, we organize training workshops for care takers, and we have psychologists who study children closely and also help caretakers learn child’s behavior. We have standard guidelines for selecting daycare centers, that include trained, well-behaving professional caretakers at the daycare centers. Moreover, we have soft-spoken experts and doctors to guide caretakers. Live Video Feed helps mothers to look at their children whenever they want. Do you have any prerequisites for day cares before they sign up with your company? Yes, we personally visit daycare centers, inspect each and every room, meet staff members. We select the daycare centers that are providing satisfactory services. 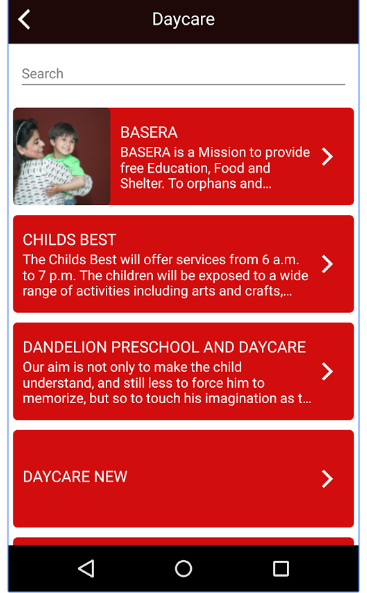 We are introducing rating system for the daycare centers so daycare centers are motivated to improve their services. Entrepreneurs face many challenges in today’s ultra-competitive business world; fortunately, contemporary times have also blessed us with more resources for tackling those problems than ever before. Finding a right strategic partner was hardest, finally we have partnered up with Nayatel to provide dedicated live video streaming. Cash flow is essential for small business survival but proper budgeting and planning has helped me overcome this challenge. Hiring employees is the biggest challenge to be really honest, but by being exclusive I have developed a team of really creative, dedicated and hardworking employees, they are equally passionate about Rise Mom as I am. This pretty much includes everything; I am highly motivated and optimistic regarding Rise Mom. One has to make perseverance and intelligence his/her allies; use them to your advantage and keep working toward your goals. Understand that you’re not the first to struggle, and because of that there are many resources available to help you get through your darkest days.